This is the final part of the two-part blog on estoppel which will focus on relevant case law where estoppel is essential to the result of the case. You can read the first part of the blog which deals with the theory of estoppel here. As is evident from the case law below, the establishment of estoppel depends very much on what appears reasonable in the specific circumstances (in Danish “skøn”) to the judges. However, in our examination of the relevant case law, we will seek to pinpoint some of the main factors identified by the Danish courts. 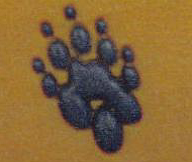 Since the mid/late 90’s, Wolverine has used the following figurative mark showing a paw print from a wolverine for it’s leisure and outdoor products. The court found that Wolverine’s mark infringed Wolfskin’s registered mark. However, Wolverine’s footwear had been marketed in Denmark since September 2004, including in national sales material, and Wolfskin did not object to Wolverine’s paw print until June, 2008 – more than 3 years and 9 months after the launch of the national sales material. Consequently, Wolfskin had not taken reasonable steps to prevent the infringement and was therefore estopped from preventing Wolverine from using the paw print in Denmark. In another Danish Maritime and Commercial High Court case from 2013, the Danish Association of Football Divisions (“DAFD”) had obtained Danish trademark registration of the word mark “SUPERLIGA” in January 2001, following an on and off use of the mark since the 1980’s. In 2008, DAFD became aware that the Danish sports betting company Danske Spil provided a management game called “Oddset Superliga Manager”. DAFD objected to the use through several letters which were rejected by Danske Spil. In 2011, DAFD filed a lawsuit claiming infringement of its registered mark. During the proceedings Danske Spil claimed that DAFD had failed to take reasonable steps to prevent the infringement. The court found that Danske Spil’s use of SUPERLIGA infringed DAFD’s registered mark. However, the claimed estoppel was rejected by the court due to DAFD’s consistent objection to Danske Spil’s use of SUPERLIGA from 2008 to 2011. In a third Danish Maritime and Commercial High Court case from 2014, the Danish amusement park TIVOLI filed a lawsuit against the Danish company Pressalit claiming breach of contract due to Pressalit’s use of TIVOLI’s registered word mark “TIVOLI” pursuant to a licence contract. The court found that Pressalit had violated its obligations under the licence agreement and therefore infringed TIVOLI’s registered mark. However, the Court found that in the period from 2003 to 2010 TIVOLI had failed to take reasonable steps to enforce the licence agreement, thus preventing such breach and Pressalit’s unlawful use. Further, it was assumed that TIVOLI had knowledge of Pressalit’s unlawful use of TIVOLI’s registered mark not later than 2007 when Pressalit had filed an application for the registration of the trademark TIVOLI. Consequently, TIVOLI was estopped from claiming the infringement of its registered trademark. In a more recent Danish Maritime and Commercial High Court case from August 2017, the Swedish company Hästens Sengar (“Hästens”), which manufactures beds and bedding, filed a lawsuit against Nordicform regarding the use of a check pattern for bedding, claiming that Nordicform infringed Hästens’ trademark. For more detailed information on the decision, cf. previous blog. Hästens had no trademark registration for the check pattern, but based the claim on use since the 1990’s. The court found that the Nordicform’s pattern infringed Hästen’s trademark. Further, despite the fact that Nordic form introduced their check patterned bedding in 2005 and initiated extensive sales in 2010, the court found that Hästens had no knowledge hereof until the end of 2014, after which proceedings were initiated in January 2015. Consequently, Hästens infringement claims were not estopped. What is the takeaway of estoppel from Danish case law? As also mentioned in the first part of the blog on estoppel it is evident that the owner of the earlier right must have knowledge or ought to have known of the later trademark. From the rulings of the Danish courts it seems that knowledge can be established at least when a trademark registration has been filed and when marketing has occurred, e.g. in national sales material. However, from the Hästens-case it seems that extensive sales per se do not necessarily amount to knowledge. This is interesting, considering that a witness testimony during the court hearing suggests that the CEO of Hästens had knowledge of Nordicform’s check pattern as early as 2013. Another main factor of estoppel is time. As is evident from the above case law, the court has accepted a time span of 3 years in the DAFD-case, mainly due to the continuing objections to the infringement during that period. However, in the Wolfpack-case the court found that 3 years and 9 months was too long as no measures had been taken to prevent the infringement. From the Hästens-case it seems that quite a period of non-action by the plaintiff is acceptable. That case is currently under appeal.